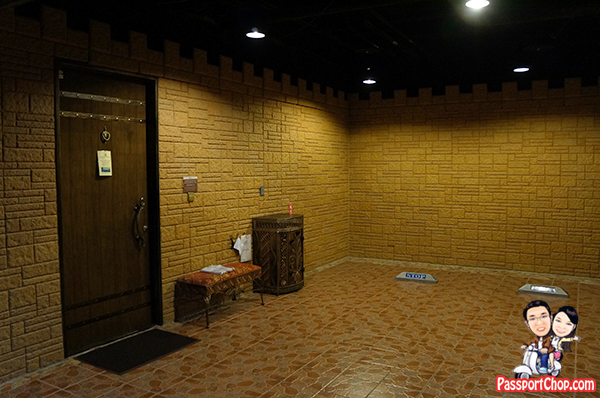 The Sato Castle Hotel 『莎多堡奇幻旅館』 is actually a car motel – 汽車旅館 where you can drive up right to your own room and park your car there (even if your room is at level 4)! We were completely caught by surprise upon coming out of the lift – we seemed to have ended up at a multi-storey carpark! We felt lost at first, expecting a normal hotel corridor and ended up seeing a series of shutters and a wide walkway (which we realised later is meant for cars driving right up to their rooms). 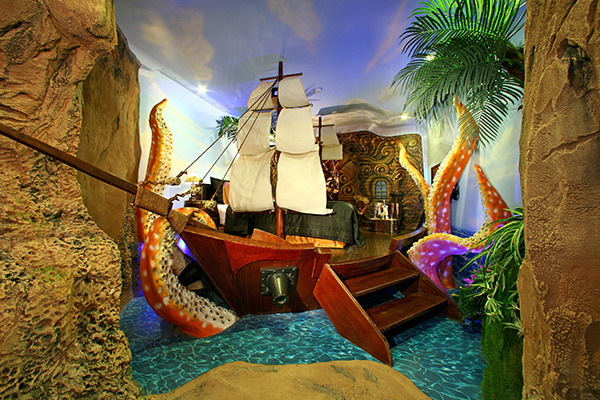 The Sato Castle Hotel 莎多堡奇幻世界旅館 theme is indeed very apt – Step into the Castle and Discover Surprises and Wonder! 走進城堡 發現驚奇! Just beside the door, we spotted an interesting sign – The rooms have been electronically swept to detect bugs and any hidden cameras – I have mixed feelings about this – is this supposed to reassure me that the room has been swept clean of any electronic monitoring devices or the fact that someone would actually want to put electronic monitoring devices (thus triggering the room to electronically sweep the room!). The similarities with typical car motels in the United States pretty much end there (i.e. 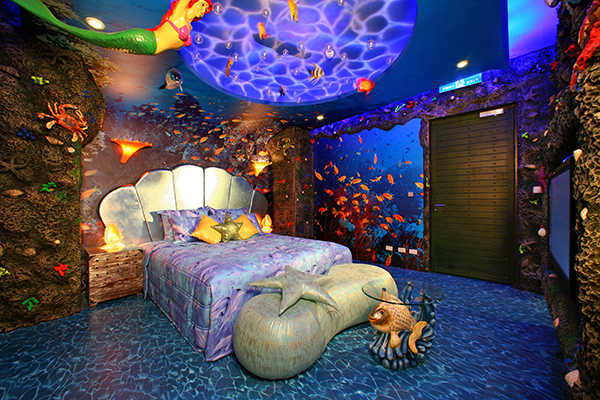 at the drive up to your room concept) – the rooms at Sato Castle Hotel are AMAZING! I seldom use full caps in my writing but nothing can better describe our experience at Sato Castle Hotel rooms! 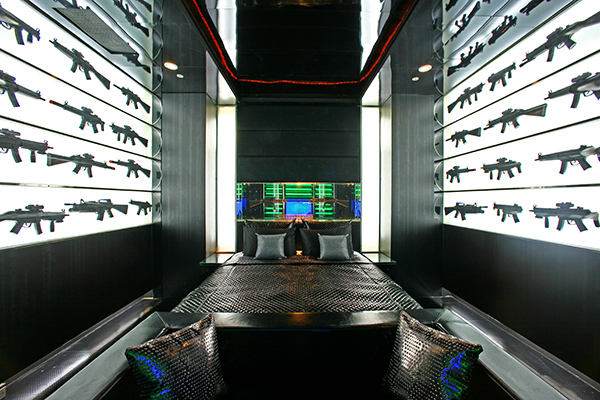 Every room has its own theme from spiderman, madame butterfly, transformers, romeo and juliet and the list goes on (for a total of 51 rooms)! 每間房都有不同的名稱,例如歌聲魅影,超人歸來,蜘蛛俠,天鵝湖,蝴蝶夫人,一千零一夜,羅密歐和朱麗葉,國王和我等等。每間房都根據名字布置了不同的擺設. 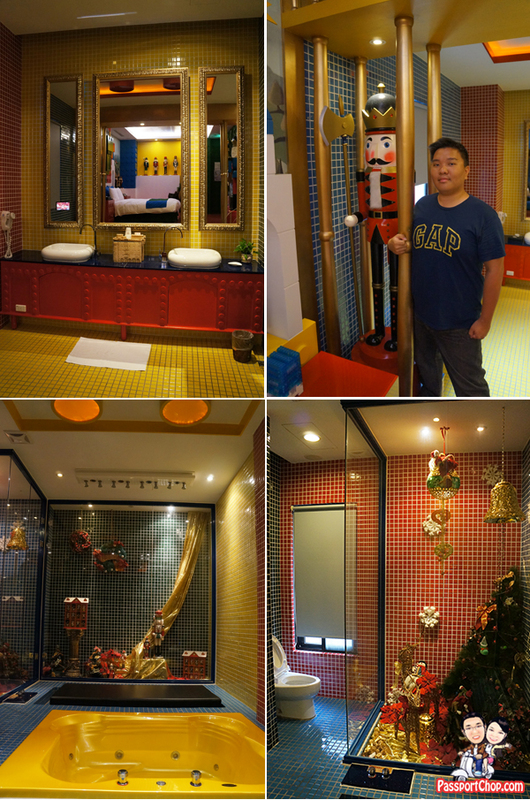 We stayed in the 皇后房 Queen Room with the Christmas Nutcracker theme (311 胡桃鉗 – 聖誕節歡愉風格). I felt like I was in Legoland with a lot of toy soldiers. If you have read “The Nutcracker” or seen the famous play, you will be able to relate to the display in this room. The idea is to make you the Clara in the story where you shrink to the same size as the Nutcracker prince and then you wake up, it is all just a dream! 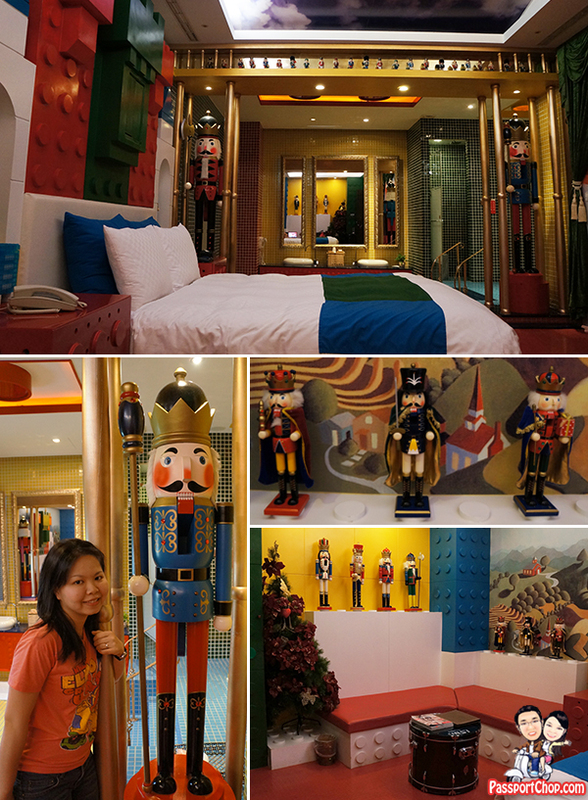 The theme of each room follows very strictly to the broad storyline – in this case, the Nutcracker Prince story and these stories are displayed right by the door so guests can understand the meaning of the room theme design. There is free mini-bar where you can find cup noodles and some snacks. There is a Sato spa downstairs (chargeable) but you can also create your own spa by using the in-room jacuzzi and water spa (lie down on a foam bed and let water jets massage you – you can control the speed and intensity too). There is even an in-room sauna! Other interesting rooms at Sato Castle Hotel include Mission Impossible, Soccer Manchester United, Cinderella themed rooms. 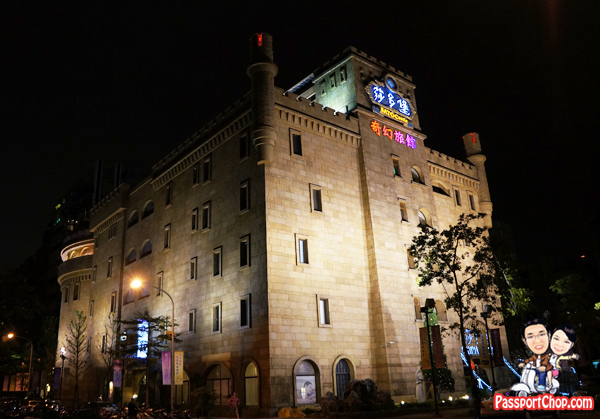 Sato Castle Hotel is located at the Zhongshan District – quite far out from the Xinmending area but still accessible to all parts of Taipei by MRT/Metro. It is relatively nearer to the Shilin Night Market area (you will still need to take a taxi to get there). The nearest MRT station is Jiannan 劍南 just 5 minutes walk away from Sato Castle Hotel. Sato Castle Hotel is near to Songshan Airport so if you are taking domestic flights within Taiwan, you are just minutes away by taxi. Do note that the Taoyuan International Airport is still quite some distance away (about an hour plus). Sato Castle Hotel offers its rooms for day use purposes – a lot of couples do their wedding photoshoots in the rooms amidst the beautiful thematic backdrop and there are also a lot of modelling shoots. Thus check-in timing for Sato Castle Hotel is later than the typical check-in timing of other hotels – Sundays to Thursday: Check-in timing is after 6pm; Fridays and Saturdays: Check-in timing is after 10pm. You can leave your bags at the reception and explore Taipei and come back at a later time to check in. 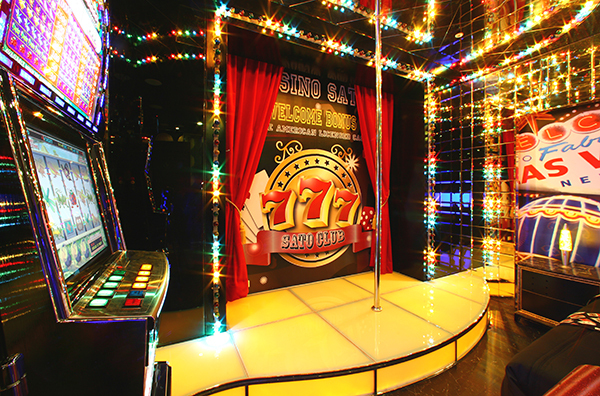 The room rates are also tiered by Sundays to Thursdays 平日 and Fridays to Saturdays 假日. The room rate for a King room starts at NT$4880 for 平日. 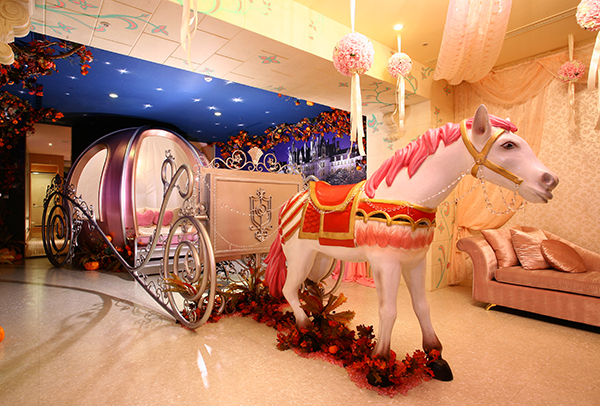 The cheapest room rate for the Knight room starts at NT$2880 for 平日. 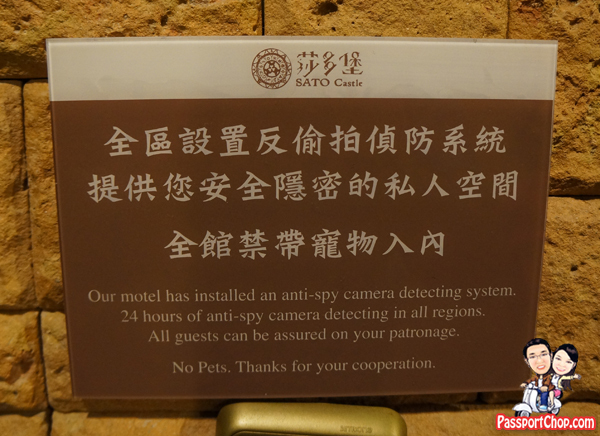 Check http://www.sato-castle.com/ for the full room rates. Look out for room promotions too. Do note that because Sato Castle Hotel is primarily a car motel, there isn’t a walk-in reception counter so for walk-in guests, you would have to drag your luggages to the reception just after the drawbridge to check-in (which is more like a big booth between the 2-way driveways) – it could get quite intimidating with the constant vehicular traffic driving around you. love reading your post !